The 2017 Analytics Exchange panel discussion featured speakers from cutting-edge analytics and AI companies. In a culture that is rapidly becoming more automated, how do data scientists continue to innovate without making human agency obsolete? Leaders in analytics and artificial intelligence gathered on Friday, May 12 at the fifth annual Analytics Exchange to discuss adapting to the future of AI in the workforce. The day featured many exciting presentations, from a look into the world of chatbots with Andy Angelos, CEO of Hire Abby, to a consideration of the global impact of IBM Watson and AI as a service with Plamen Petrov, director of cognitive technology at KPMG, as well as an advanced Deep Learning tutorial led by Dr. Ellick Chan, senior associate at Exponent and adjunct lecturer at Northwestern University. The day’s theme of Artificial Intelligence culminated in a panel discussion, The Technologies Driving AI and its Impact on Jobs, featuring the seven conference speakers and moderated by Jeff Parker MSiA ‘17. Parker opened the panel with a question about how our world has been changed by technology and panelists dove into the discussion by considering the effects of AI on jobs. Parker furthered the discussion by asking the panelists how they envision society will adapt to the fact that the continual implementation of AI in the workforce is predicted to both eliminate and create a substantial number of jobs in the coming years, according to a Forrester study. David Vandegrift, associate at Pritzker Group Venture Capital, put into perspective that full implementation of AI in the workforce is predicted to take decades and that current generations should focus not on retraining themselves for new jobs but on preparing new generations for the increased presence of AI in the workplace. The audience at the Analytics Exchange had some unique insights and questions of their own, which were shared with the panel throughout the discussion. In response to an audience member’s question about adjusting to the “AI revolution,” panelists agreed that we should consider the future to be an AI integration rather than a revolution. 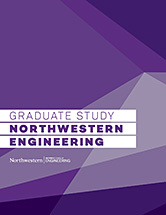 The Analytics Exchange is an annual day-long conference hosted by Northwestern’s Master of Science in Analytics program. The yearly conference was created as an opportunity for industry leaders and practitioners from across the analytics spectrum to gather and discuss the evolving landscape of analytics with like-minded individuals. The 2017 Analytics Exchange featured speakers from cutting-edge companies in analytics and artificial intelligence, including Narrative Science, Metonymy Labs, Hire Abby, Pritzker Venture Capital Group, Ernst & Young, and KPMG. More information about the participants and topics of the 2017 Analytics Exchange can be found by visiting the Analytics Exchange webpage.